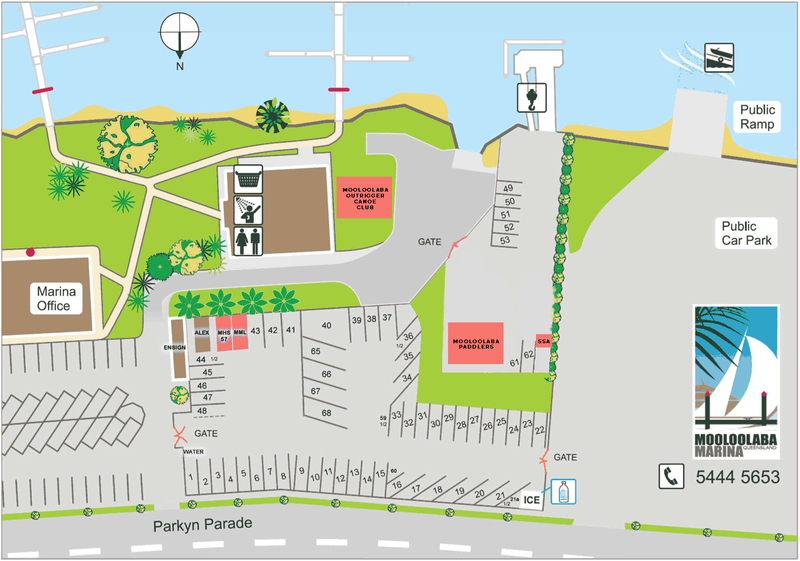 Mooloolaba Marina provides an uncovered storage facility for trailer vessels up to approximately 8m length overall. Vessels can be stored on a short or long term basis and access to the public boat ramp is directly adjacent to the storage yard. Access to the storage yard is via two locked gates, keys are available upon check-in ($50 refundable deposit required). All boats, trailers and any other items are stored at the owner’s risk. Mooloolaba Marina will not accept any responsibility for theft or damage. Please remove all valuables for their safety.